When the original Super Smash Bros. released on the Nintendo 64 it blew my mind. I was ten years old and had been playing Nintendo games for as long as I could remember. Mario, Donkey Kong, Kirby had grown up with me but they were always separated by individual cartridges. That is, until I witnessed one of the greatest video game commercials known to man where Mario, Yoshi, Donkey Kong, and Pikachu kicked the crap out of each other accompanied by The Turtles’ Happy Together song. Seeing these worlds collide instantly showed me just how special Nintendo was and how important the company is to the history of gaming. Flash forward fifteen years and the latest Super Smash Bros. For Wii U continues to wrap up a legacy of gaming into one beautiful, and incredibly fun, fighting game. Super Smash Bros. For Wii U doesn’t break the mold in this installment. If you’ve played a game in the series before you know basically what you’re getting into. Players face off in 2-to-8-man bouts where your only goal is to deal enough damage to a character to launch or SMASH them out of the arena. This isn’t your typical fighting game like Street Fighter or Mortal Kombat. On top of ringouts being the main condition for victory, every character has the same exact controls making it incredibly easy for new players to pick up or returning players to try out a new contender. Throw in an enormous amount of usable items that range from Pokeballs to POW Blocks to Bunny Ears and you’ll start to realize just how crazy Super Smash Bros. can be. The Wii U pushes the series further with even more characters, more items, and so much content that you might very well still be playing long after Nintendo releases a successor to the console. With a total of 49 fighters, Smash Bros. For Wii U may seem like a bit much but nearly every character brings something new to the table. The variety is so diverse that I believe anyone who picks up a controller will be able to match their play style with someone on the roster. There are fighters that are strong and slow, light and fast, some that focus on aerial combat, and some that keep the brawling on the ground, while others fight best from a distance. And now that Nintendo is capable of real online integration, certain exploits can now be addressed to keep the game balanced. At the time of this review, we’ve already seen a patch nerf the character Little Mac ever so slightly to keep him from being too overpowered. The sheer amount of characters and variety in combat present a huge well for players to dig into and explore but it is disappointing that some slots are taken up by different versions of the same character. Dr. Mario and Mario, Pit and Dark Pit, Marth and Lucina, are all clones of each other with only small variations in their play style. I would much rather see brand new characters than these variations, but since there’s still so many others to choose from, I can let it slide. In battle, the combat runs smooth at a steady 60 frames per second at 1080p. Even with the newly added 8-Man Smash battles, I haven’t had a problem with the game chugging even at its most chaotic moments. 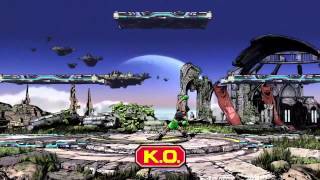 Super Smash Bros. For Wii U plays somewhere in the middle of Melee’s lightning-paced combat from the Gamecube and Brawl’s slower, more thoughtful speed on the Wii. Honestly, it’s never felt better to me. Every little detail feels like it works better than in previous entries. Even the camera flows between the action better than it did in Brawl with smoother transitions between close-up angles of two fighters, or the pulled back view you need to see 4 or more characters on-screen. Smash Bros has never ran better than on the Wii U. 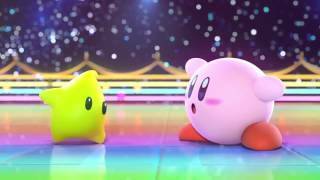 While Super Smash Bros has always shined as a multiplayer experience by getting a group of friends together to duke it out with their favorite game characters, I’m really impressed with the options for Solo play. Super Smash Bros. For Wii U has been just as fun alone as it has with friends thanks to a hefty amount of modes that really mix up the experience. Returning modes in the Stadium like Home-Run Contest has you trying to launch a sandbag as far as you possibly can. 100-Man Smash has you battling it out against an onslaught of weaker opponents. There are also Event matches that require the player to complete very specific objectives in order to win, like collecting 1000 coins as Animal Crossing’s Villager, or using Falco to stop parachuting Mr. Game & Watches to land on his ship. Nearly every mode switches the style of play just enough to keep things fresh and keeps you trying new fighters to unlock everything. Sadly, one mode fails to really add anything. Smash Tour is a new mode never before seen in Smash Bros. and in some ways may seem like a Mario Party meets Smash kind of experience. This mode is even featured on the main menu of the game leading me to believe it was supposed to be one of the best pieces of Smash For Wii U. It is not. In this mode you and 3 other players will roll a dice, run around a board collecting as many power-ups and fighters as you can. After each round, if two players run into each other, everyone fights based on the stats they have. Losers lose their fighter and the winner gains a fighter and the game continues on. Once all the turns are taken up, you all fight one last battle using everything you’ve collected. I was optimistic about Smash Tour but after playing a few rounds I feel completely let down. The mode is just a slog with a bunch of short, unsatisfying fights that lead into one unrewarding final battle. Smash Tour definitely doesn’t take away from the entire game, but I could certainly live without it. This talk about modes leads us into one of the most important aspects of the game, its online play. In past iterations, the online was all but broken with poor connection speeds, match dropping, and laggy gameplay. Since the game’s release I’ve played at least one match online every day and I can safely say that we can finally play Smash with strangers and friends around the world with a smile on our face. Nearly every match I played felt just as smooth as offline play with rarely any input lag. Sure, I ran across a couple matches that had some slowdown, but these matches always took place with strangers whose internet connections could be the source. Anytime I played with friends around the US and Canada, the matches ran as if we were playing in the same room. While I’m ecstatic I can actually play Smash online, there are a couple things missing that still damper the experience a little. When playing online you have the choice to make a room to play with friends, to play a regular Smash or Team Smash with random players and items called For Fun mode, or you can play without any items and only on one basic level that is suited more for competitive play called For Glory. My biggest gripe here is the lack of customization. While For Glory entails strict guidelines, I feel like For Fun and with friends should allow players a vast amount of customizable features like match length, match type, and item spawning. You also don’t have any easy way to communicate. Playing with friends allows you to talk through the gamepad between matches but setting up these bouts is a pain on the Wii U and if you’re playing with strangers, good luck ever finding that teammate you were dominating with. It’s just sad to see the gameplay work so well but whether it’s the fault of the console or the game itself, Smash’s online interface should work a little easier and help facilitate matchmaking instead of hindering it. This is despite the fact that the rest of the game is customizable in nearly every aspect. When you turn on Super Smash Bros. for the Wii U, you’re instantly given the reins on what to do and how to play. Want to jump straight into party mode and hook up 8 controllers with a bunch of your buddies? Go right ahead, and everyone can play the way they want with a huge number of controller options. You can play with the Gamepad, Pro Controller, Wii Remote, Classic Controller, or even (with the purchase of an extra peripheral) with the trusty old Gamecube controller. New to the series is the addition of Mii Fighters and customizable fighters. That’s right, now you can bring yourself, or George Washington, or Mike Tyson into Smash should you so choose. The Mii Fighters are split into Gunner, Brawler, and Swordsman classes each with their own unique strengths and weaknesses but the fun part is unlocking new outfits and building them up into the prime fighters they were born to be. My personal Mii is a Swordsman in a ninja outfit. If you don’t want to mess with Mii's, you can also alter and improve any contender in the game if you so choose. By completing specific objectives and fighting more throughout the game, you can even unlock custom movesets that completely change how these familiar fighters behave. It’s a fun diversion if you want to get into it, but with the flick of a switch, you can keep all customizable fighters off and never worry about. Nintendo has also released the Amiibo figurines that also help to customize your experience, though only in a very minute way that I don’t personally think adds a whole lot to the game. The figures look great and I love my Donkey Kong sitting on my shelf but all you really do with these figures is place them on the gamepad, and create a custom AI fighter. The more they fight, the stronger they become. You can even feed them equipment you’ve unlocked throughout the game. I feel like the integration with the Amiibos is too hands-off. I don’t feel very close to my AI fighter and the fact that I can’t play as my DK is pretty disappointing. It doesn’t end there; you can customize match types, Special Rules allow you to tweak whether you want your characters to be giant or mini or a number of other statuses. Each contender has tons of costumes to pick from. Hey, you can even create your own levels by drawing on the Gamepad. You can also mess around with the game’s 400+ track soundtrack to pick your favorites and what levels play what music. And oh my, the music. Super Smash Bros. has consistently churned out fantastic music that remixes and re-arranges old classic songs but this game has truly outdone itself. Not only is the list of tracks 400+ deep, but I could listen to every single song on here. This isn’t quantity over quality; this is quality and quantity together in holy matrimony. I’ve spent hours just listening to random songs. From The Legend of Zelda, to Luigi’s Mansion, to Animal Crossing, to Mega Man, and even to Style Savvy, this soundtrack is phenomenal and continues to show that Super Smash Bros. is more than just a fighting game, but a sort of virtual museum for all things video games. The museum doesn’t stop at the music, though. The entire game is built around rewarding players with trophies on top of the customizable moves, outfits, and of course, secret characters. When you obtain these trophies you can view them in full glorious HD, read about them and their origins, and even view your entire collection before taking a snapshot of them to gloat to your friends about. Smash Bros. has always been a game that could dangle a carrot in front of the player to obtain that one next thing and Smash for Wii U pushes the boundary on content. I can’t even imagine someone obtaining everything there is in the game. Super Smash Bros. for Wii U is not only one of the best games you’ll find on the Wii U, but it’s also the best game in the series. Its shortcomings with Amiibo and Smash Tour don’t hurt the overall experience in the least. With great online play, a ton of single-player content, the same old wonderful multiplayer, and an even larger amount of love and care put into every little detail, Super Smash Bros. For Wii U is a game you can’t miss out on. Finally getting to see Smash in HD is amazing. The visuals are stunning and leave you pausing the screen just to check out every detail. From the music, to the sound, to the sheer amount of things to see, you’ll never get tired of turning this game on. Inside the fights, the game is full of chaos in the best way. Fighting with so many characters from Mario to Mega Man to Zelda always feels great. The online could use a little tweaking to help friends keep in touch and Smash Tour either needs a complete revamp or to be axed from the next game. Each new Smash game has given solo players more and more to dive into and Smash For Wii U continues that trend. Each mode gives you a new experience with new rewards and there’s always something to unlock that keeps pushing you forward. Playing with friends is more fun than ever thanks to the ability to choose any type of controller layout you want. The addition of the new 8-Player Smash is also one of the most insane and exciting things I’ve experienced in years. It’s so crazy I still find it hard to believe it’s so fun. Save for a small fraction of lag in a couple online fights with randoms, Smash For Wii U has ran incredibly smooth, even when the screen gets cluttered with chaos. No bugs, nor crashes to report either. If you’re looking for a reason to buy a Wii U, Super Smash Bros is your best bet. It’s the most polished and fun Smash Bros. game I’ve played. For someone who loves video games like I do, seeing all these characters, as well as the extra trophies and the amazing soundtrack, I have just as much fun perusing the little extra details as fighting itself. With so much content, I’ll be playing for years to come. "If you're looking for a reason to buy a Wii U, this is your best bet"
Super Smash Bros. for Wii U is ranked #16 out of 1435 total reviewed games. It is ranked #2 out of 152 games reviewed in 2014.